Fresh Model Management presents... new photos, updates, interviews and more about our Fresh Faces! Gepost door FreshMM op 12:45 p.m. Welcome to the Fresh Model Management blog. Stay up to date and check out our "freshest" news! 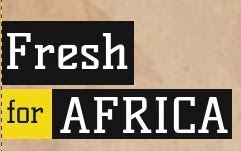 FreshMM is an agency focused on developing girls, teaching them all the ins and outs of the modelling business and fashion industry and managing their international careers. All photos on this blog are property of Fresh Model Management. Thema Eenvoudig. Mogelijk gemaakt door Blogger.